Representatives of the Kalamazoo Bicycle Club participated recently in the Kalamazoo Valley Community College Wellness Fair. The fair emphasized the importance of well-being in all areas of life – physical, spiritual, mental, social, etc. With KBC’s help, the fair was very successful. Approximately 400 students, staff, and faculty attended. 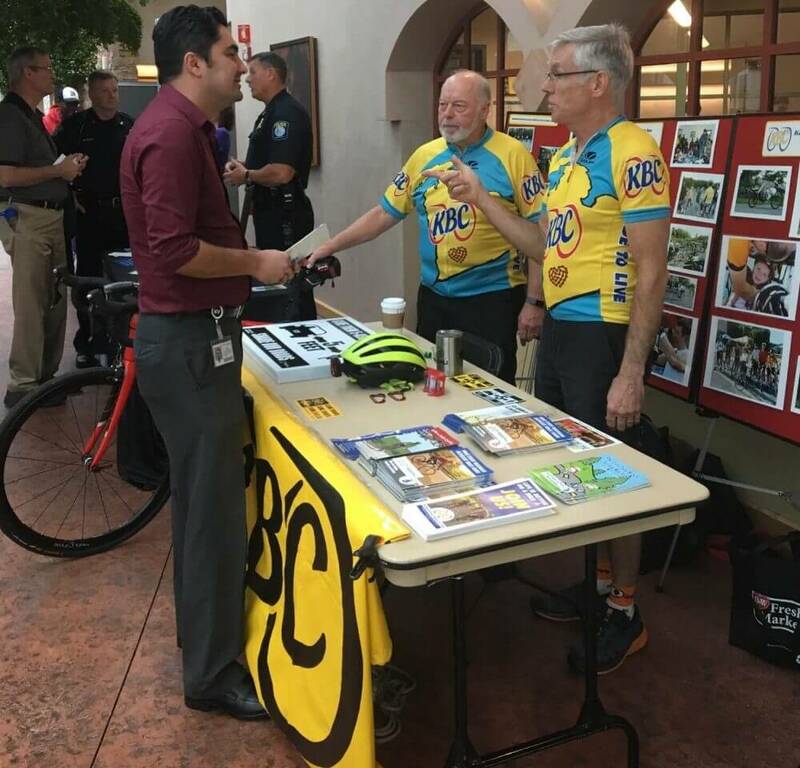 Paul Wells and Thom Brennan, members of KBC’s Education Committee, promoted healthy lifestyles through bicycling while “flying the colors” of KBC. Thanks Paul and Thom.